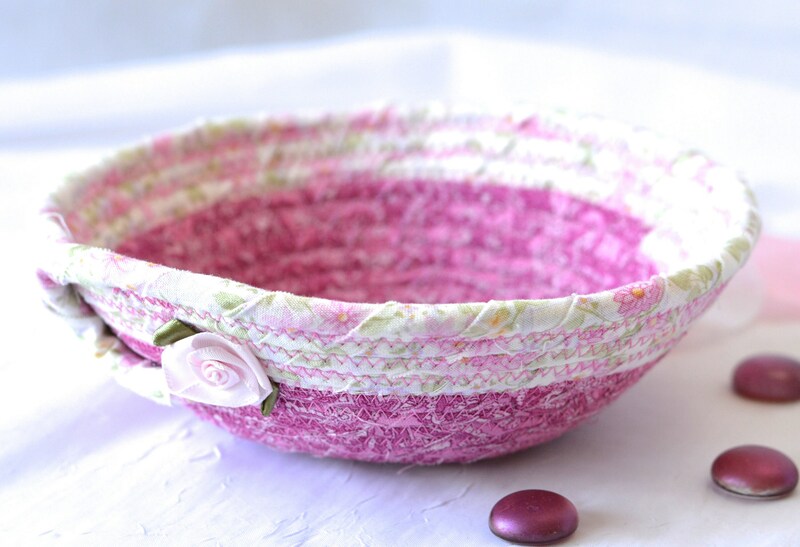 I hand wrapped this wonderful pink high quality fabric around cotton line, which I then hand coiled and machine quilted to make the basket sturdy. I used the raw edge technique with a little fray to give it a lovely shabby chic texture. The cute flower on the basket is included for a nice accent. 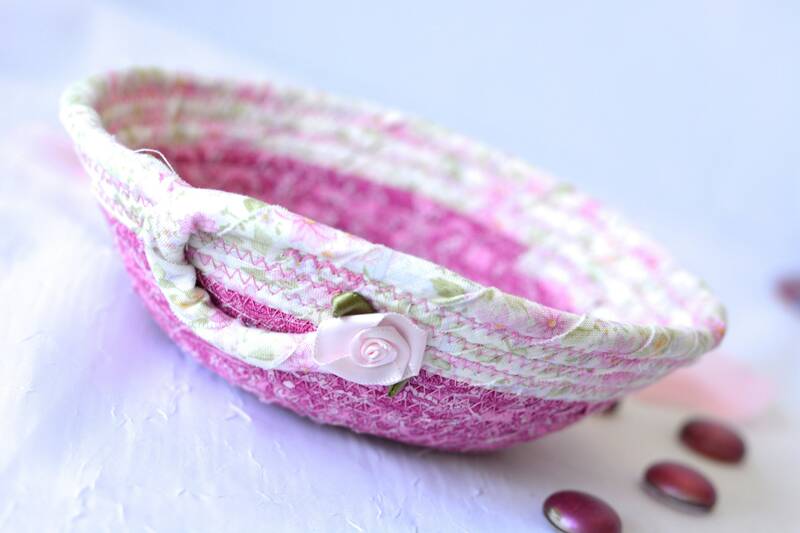 This pretty rose bud fabric is 100% cotton and shows on the inside of the basket too! 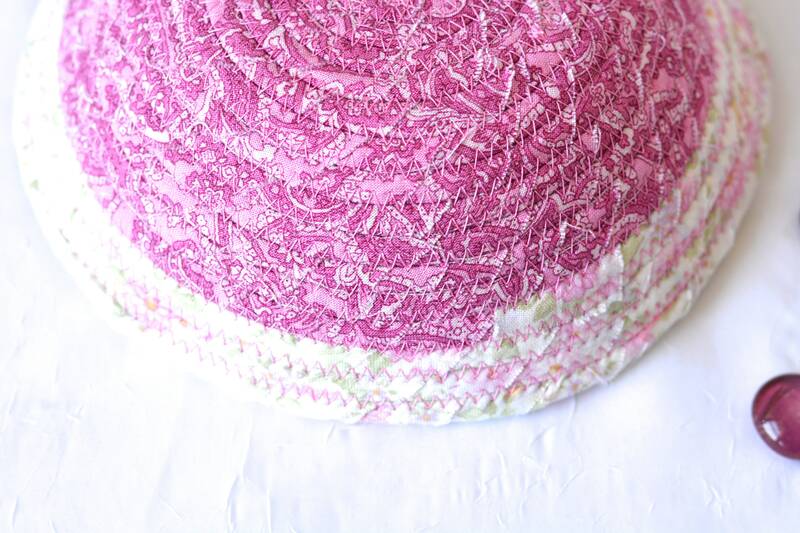 The pretty base pink fabric is also 100% cotton. 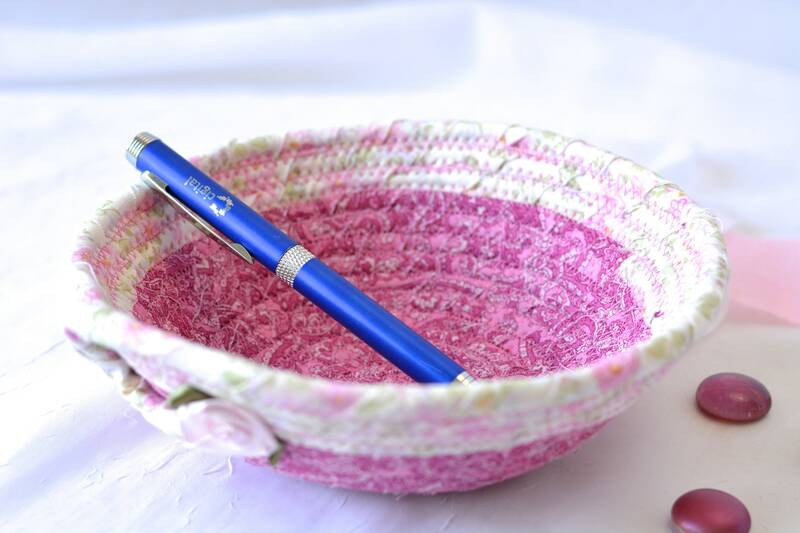 Please see the picture with the pen to help gauge the size of this lovely basket. 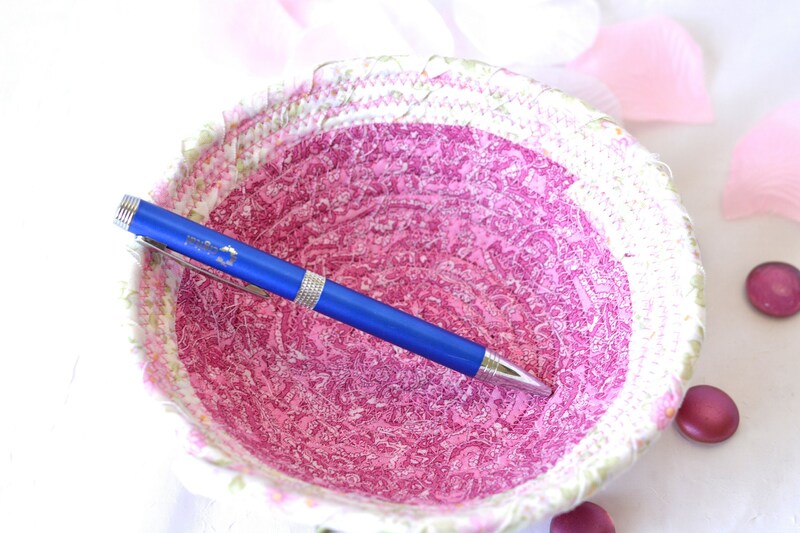 Other Flower/petal/pen/bead props not included. 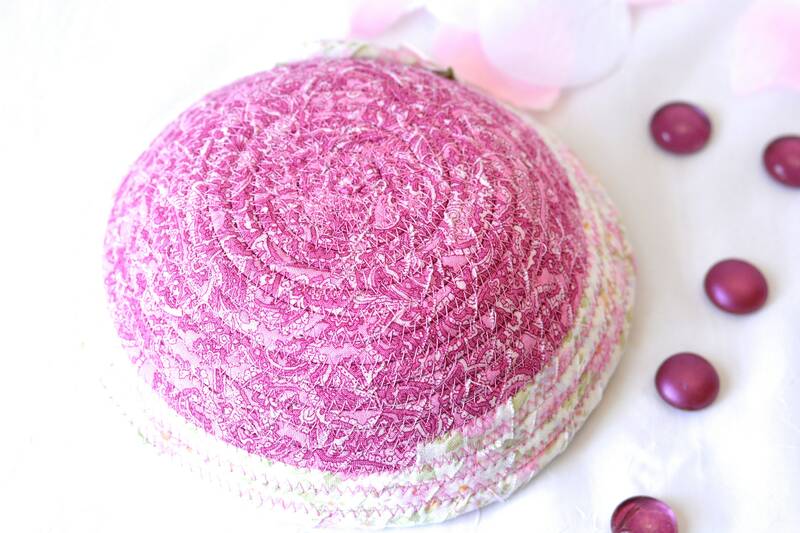 Cute pink Shower Gift! ....... Desk Accessory! 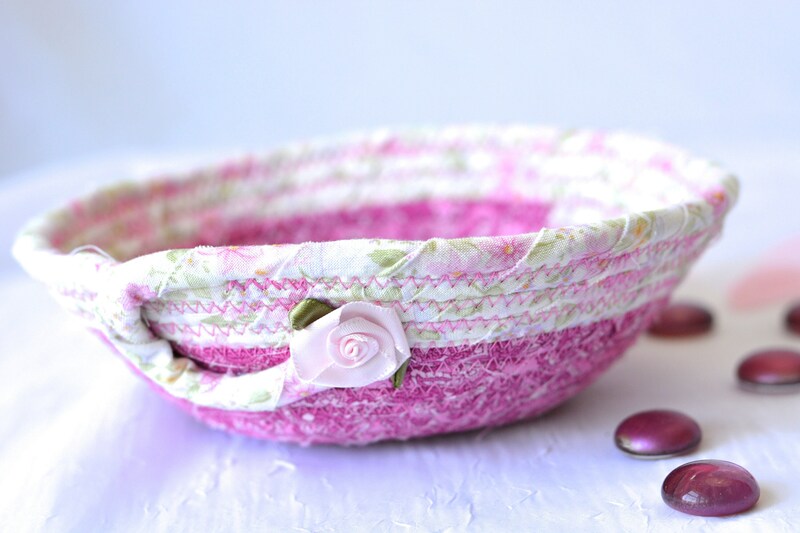 Potpourri Bowl! Pretty Graduation Gift! Mother's Day Gift Basket! Birthday Party Favor! Wedding Favor! Hand wash separately, gentle, with cold water, reform and air dry only. Or spot clean.